Busy busy busy. Computer behaving itself. For the moment. Children home with colds. Gah. 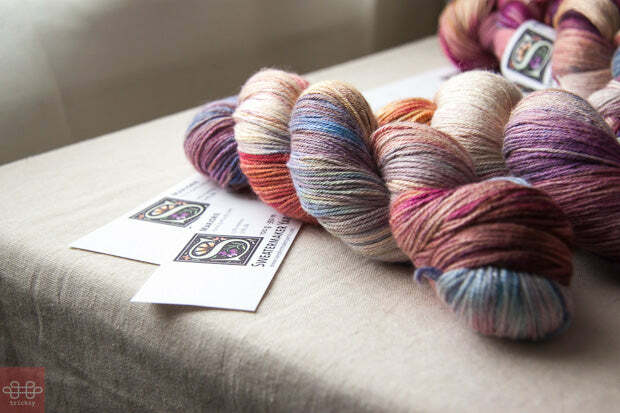 Yesterday I happened to notice how nice these skeins looked by the window. And how nicely the Sweatermaker Yarns logo complemented the colours of the yarn. Isn't that a nice logo? I think Judy's son designed it for her. 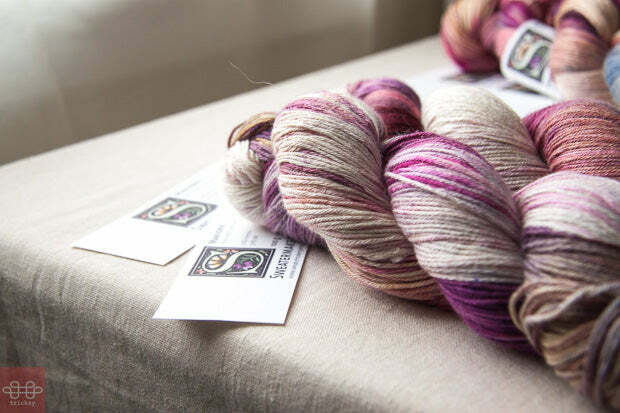 Yes, more knitting kits are on the way. Another post added to Gift Ideas. And yes, it involves chocolate.